The speckle pattern is formed by a laser beam through a scattering medium. It has been demonstrated that a bright focal spot can be obtained after optimizing the phase of the incident light. 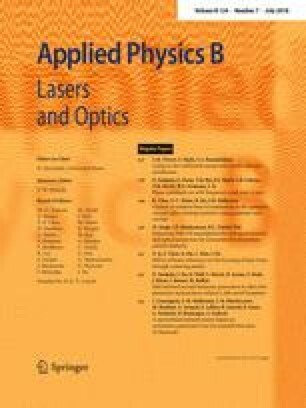 In this paper, we study the influence of the beam coherence on the focusing of laser beam through scattering media. We impose a dynamic random phase map onto a laser beam, to achieve partially coherent light with controlling coherence. It is shown that the speckle can be suppressed when the coherence of the light beam is low. We find that even when the partially coherent light beam is focusing through the scattering media, a focal spot is also generated by modulating the light beam’s wavefront. It is also found that the intensity of the focal spot decreases with a decrease in the coherence of the beam. Moreover, the lower is the coherence of the light beam, and the smaller is the size of the focal spot. The results of this paper can pave a way applying partially coherent light in optical phase optimization and optical imaging. This work was supported by the National Natural Science Foundation of China (NSFC) (61575070, 11674111), Research Award Fund for Outstanding Young Researcher in Higher Education Institutions of Fujian Province (Minjiaoke 2015-54), and Fujian Province Natural Science Key Program for University Young Scholars (JZ160408), and the National Natural Science Foundation of Fujian Province under Grant (2015I0005).